Never a dull moment. The Ayoub Vineyard and Winery were born out of Mo Ayoub’s passion for food and wine. After a careful search, Mo found the land he dreamed of nestled in the Dundee Hills. The Ayoub Vineyard was planted in 2001. Since 2004, Mo has been dedicated to producing wines of balance and complexity; wines that are exciting to share, rewarding to the patient collector, and magical – end to end. 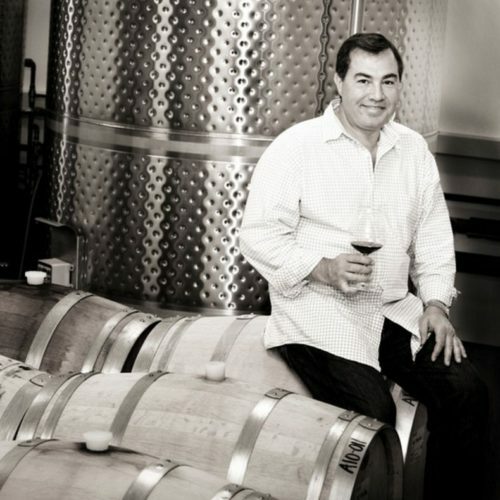 Starting in 2009, Mo sourced additional fruit from some of the best vineyards in the valley, and expanded his production to include Chardonnay and other single vineyard designate Pinot Noirs. In 2010, Mo tore down his garage to build a small winery on the Estate property, and all wines are made there now. Though he only recently quit his “day job” in engineering, Mo’s fanatical focus on producing the highest quality Pinot Noir and Chardonnay (plus a couple other secret gems) has inspired collectors of Willamette Valley wine since his first release in 2004. His culinary background, combined with a true appreciation for culture and hospitality, have earned distinction for the Ayoub Wines. Total production will remain less than 2,000 cases per year to have better control over the wine’s quality. Never stop learning. Ayoub winemaking reflects a combination of tradition and innovation. 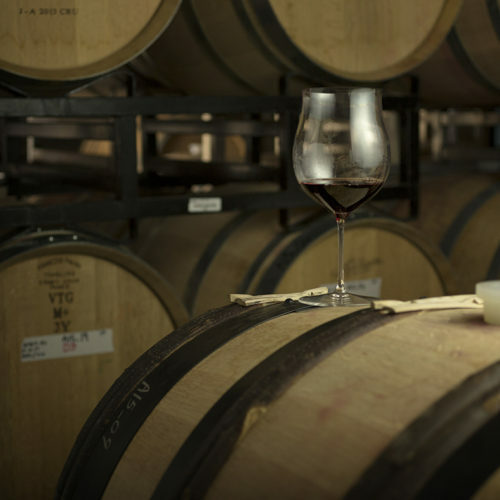 Ever evolving, like the wines, Mo’s winemaking approach includes experimentation with a commitment to bottling only the most successful, elegant lots among the barrels. In the winery, all wines are fermented in small lots to provide better control over the fermentation process. The goal is to produce wines that showcase the vineyard’s distinct terroir, wines that have great balance and structure, silky with complex flavor profile, and age-worthy. The consistency of Ayoub wines results from a continuous learning mindset in which there is no temptation toward quantity, and every intent to thrill our loyal supporters with each vintage. Never compromise. 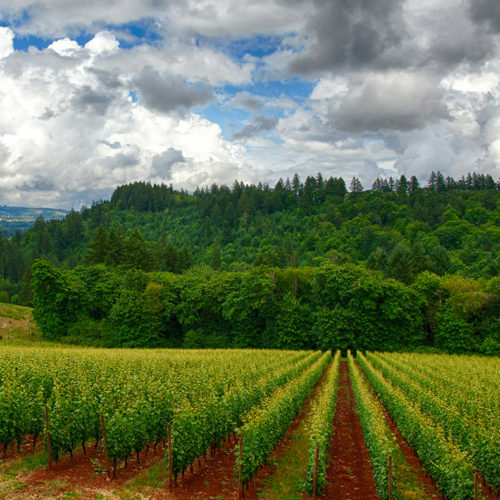 Among the most prized sites in Oregon’s famed Dundee Hills, Mo’s four-acre Estate vineyard was planted in 2001 and is farmed by hand using organic methods. The steep-sloped, east-facing site, with its red clay volcanic Jory soil and densely plated vines, is ideal for producing high quality Pinot Noir. To maintain the beautiful intensity of character so central to Ayoub wines, the vineyard is managed to low yields. Fruit is dropped at careful intervals, sometimes two or three times throughout the growing season, to ensure ideal concentration of the plant’s energy in the remaining set. Harvest picks are meticulously planned depending on the individual features of each vineyard and block. The focus is on picking at ripeness, but not a moment too late. Fresh, bright, energetic wines – that is the goal on release. Nonetheless, the wines are meant to blossom for years to come when properly cellared. Soil: Jory clay-loam volcanic basalt / drains well. Red color comes from high oxidation & iron levels.